If your garage door is not working properly, it is more than just frustrating; it is a threat to your security and peace of mind. 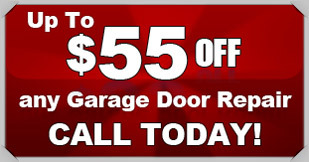 At Action Garage Door, we pride ourselves on delivering quality garage door repair in Crandall. Our specialists are trained to quickly diagnose and resolve problems so you can return to business as usual. Perhaps most importantly, we provide emergency garage door repair services, as we know how important it is to secure your home or business. In addition to security, we know that your garage door plays a key role in blocking out extreme weather in Crandall. Our services will help give you peace of mind and keep your utility bills in check. As a family-owned business, our company is committed to helping you keep your home or business safe. Customers continue to use or refer our team because we ensure that each of our specialists has passed a background check. Thanks to our dedication to quality, the Better Business Bureau has given us an A+ rating. Additionally, every project we complete is done in accordance with Crandall building codes. Using quality craftsmanship and all name-brand products, we are happy to offer the best warranties in the industry. At Action Garage Door, we are fully insured to give you maximum protection while we are on the job. When you are in need of garage door repair, allow our staff at Action Garage Door to help. We provide a free in-home estimate for every job we do. We strive to fix every job immediately, and if we cannot, we will honor the price we give you for 30 days. To learn more about our services or to get a quote, please contact us today.